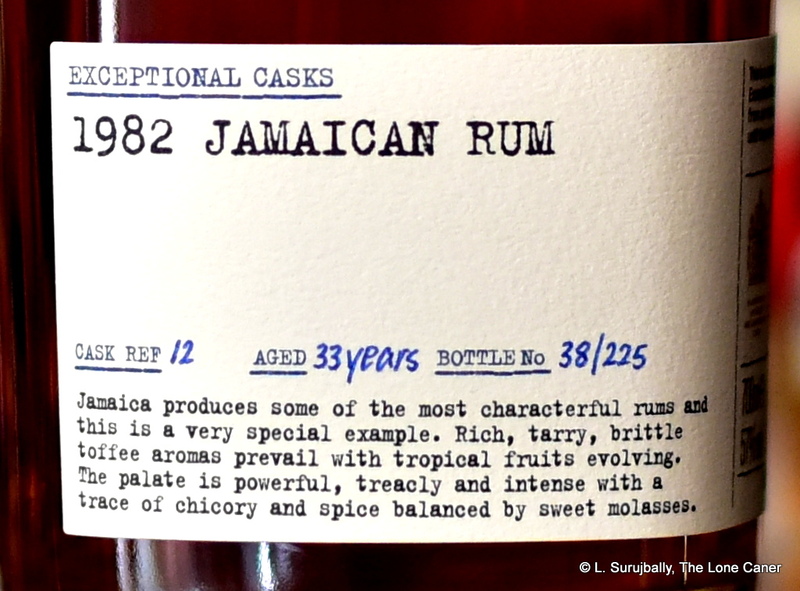 In one of those odd coincidences that crop up from time to time, I was polishing up my essay for one of Damoiseau’s ultra-premium halo rums – a 31-year-old inky bad boy from 1953 which is usually too rare or too pricey for most to bother with – when Single Cask posted his own in-depth evaluation. 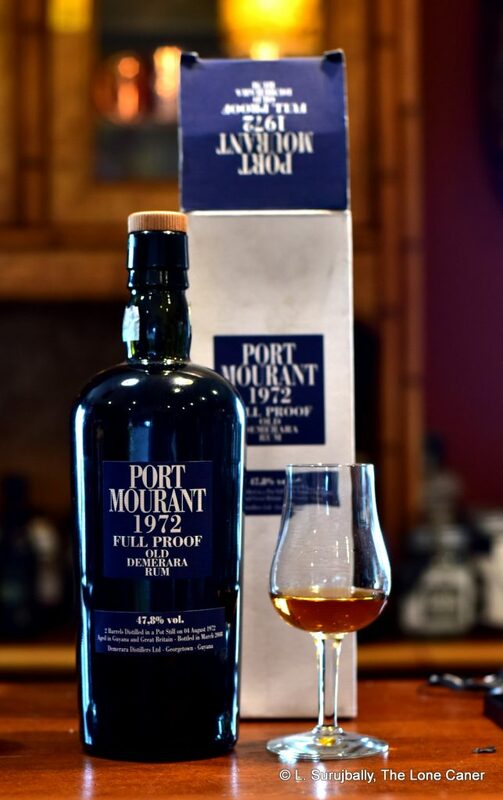 We had a good laugh over that one, but in a way it’s good too, because while one person’s review of a single rum is fine, a better opinion can be formed with several people putting their snoots and their pens in. 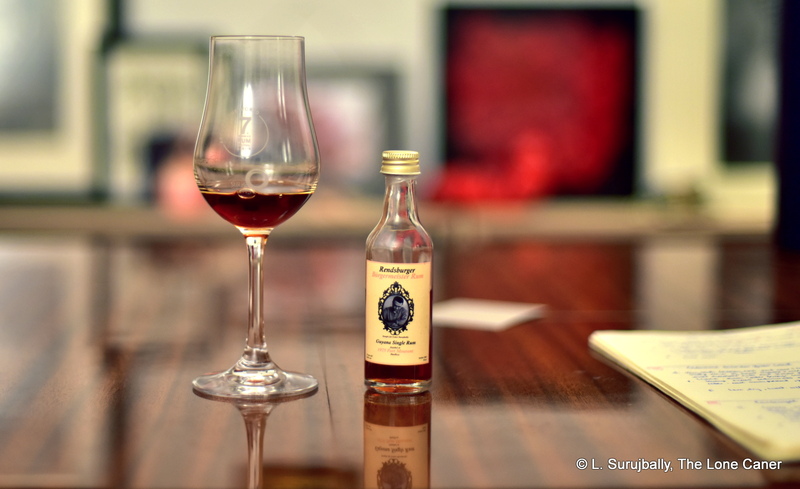 Age-wise, the 1953 from Guadeloupe does not class with the ur-rum of the Aged Canon, the Longpond 1941 58 year old from Jamaica. 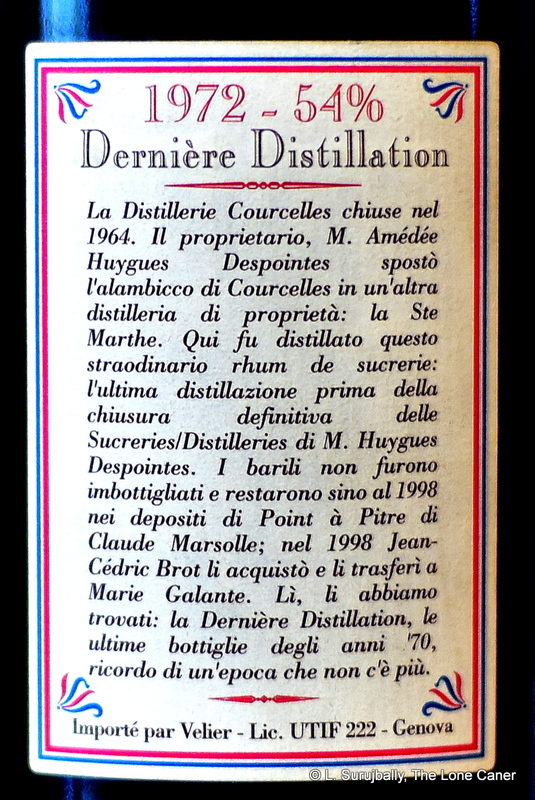 Yet it is nearly as old as the 1972 37 year old Courcelles which was the first to truly switch me on to French Island rhums, and which is the oldest such aged product I’ve yet found – others, such as the Bally 1929 and Clement 1952 and the St James 1885 were made before 1953, but are younger. 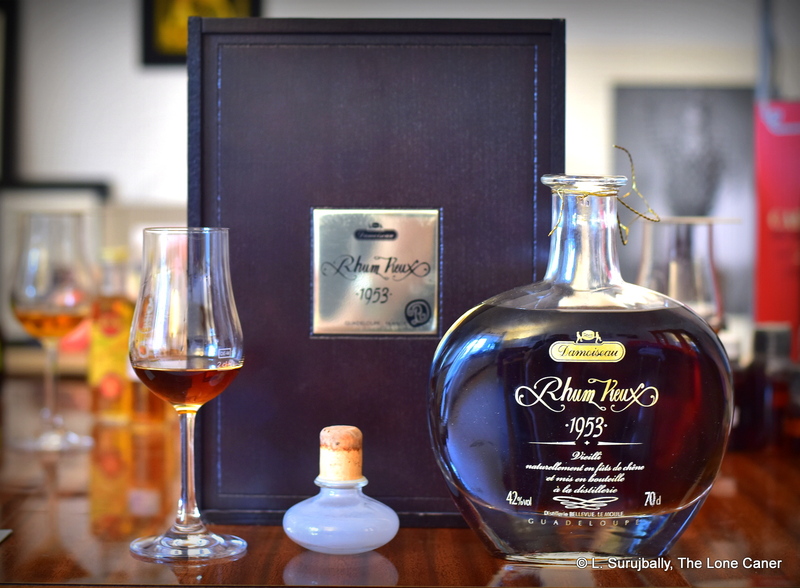 Whatever the case, it is a blast from the past, something we should try if we can just to get a sense of the evolution of rum and rhum and ron over the decades. And yes, also because it’s so damn cool to have something from the fifties. So what was happening in 1953? The Cold War was in full swing, of course, Eisenhower was inaugurated as #34, Mossadegh was overthrown, Stalin died, Kruschev lived. The Kenyan Mau Mau uprising was going on while the Korean conflict “ended.” Everest was conquered. Watson and Crick announced DNA, Ian Fleming published the first James Bond novel, the first Playby came out, and Jacques Tati released the whimsical classic M. Hulot’s Holiday (a favourite of mine, along with Playtime). The rationing of cane sugar in the UK came to an end. The Brits suspended the British Guiana constitution and occupied the country militarily so as to make it safe for democracy. And this rum came off the still in Damoiseau’s facilities. 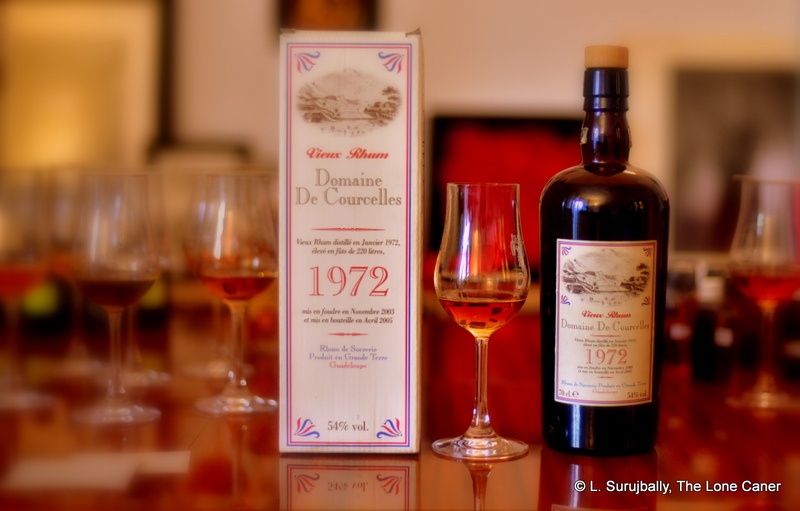 I have no idea whether it was pure cane juice distillate or molasses – Guadeloupe has a history of mixing things up, which is part of their attraction for me – but just based on the way it nosed and tasted when run past other aged dinosaurs (the Courcelles, Damoiseau’s own 1980, the Cadenhead Green Label 1975 among others) I’m going to say it had at least some molasses-based spirit in the bag. 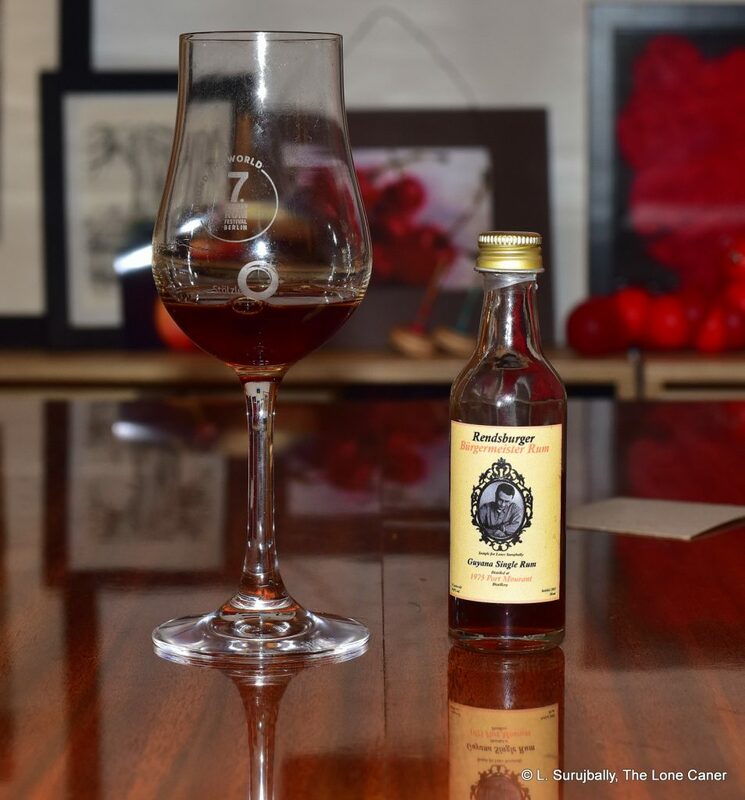 It was a sort of mud brown opaque liquid that immediately made me remember the St James 1885, and poured thickly into a glass, even at its relatively low ABV of 42%. But it smelled very nice for all that low power. Really. 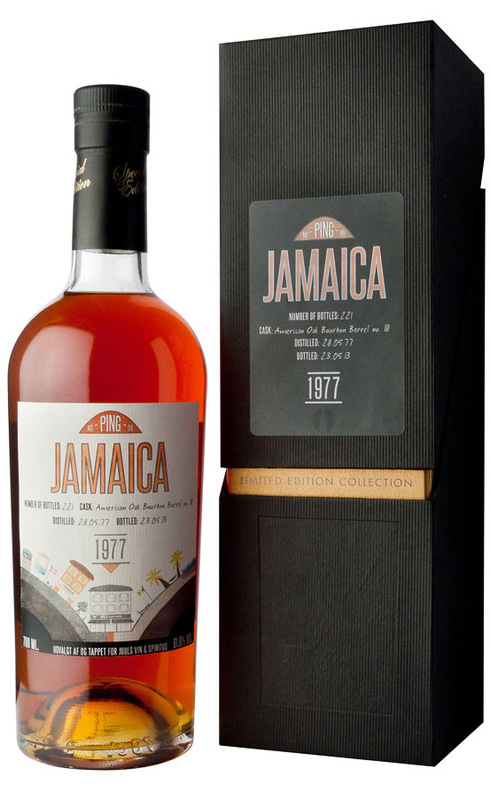 It had deep fruity flavours of blackberries and prunes, plus a lighter note of strawberries and orange peel, flambeed bananas, and it reminded me somewhat of a Bajan Black Rock rum, what with that underlying series of crisper smells. 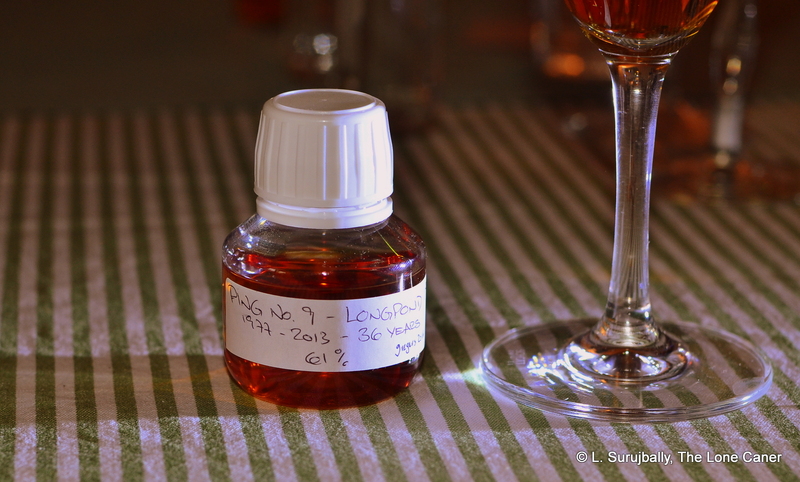 Candied oranges, a flirt of caramel, some faint licorice, very ripe cherries added to the fun. 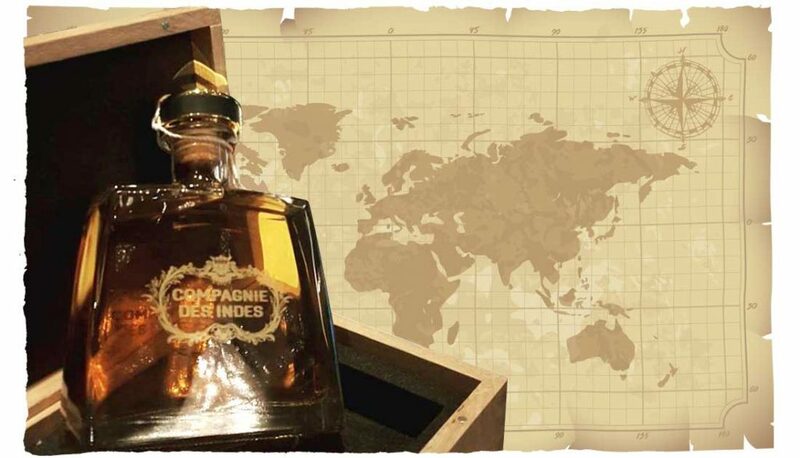 However it was deeper than any of those, richer, smokier, and developed over time into a plump and rotund nose that steered you between the darkness of a crazy old fellow like the 1885, and the clarity of Damoiseau’s 1989 20 year old. Which perhaps says something for bottles that have sat waiting their turn for many many decades. 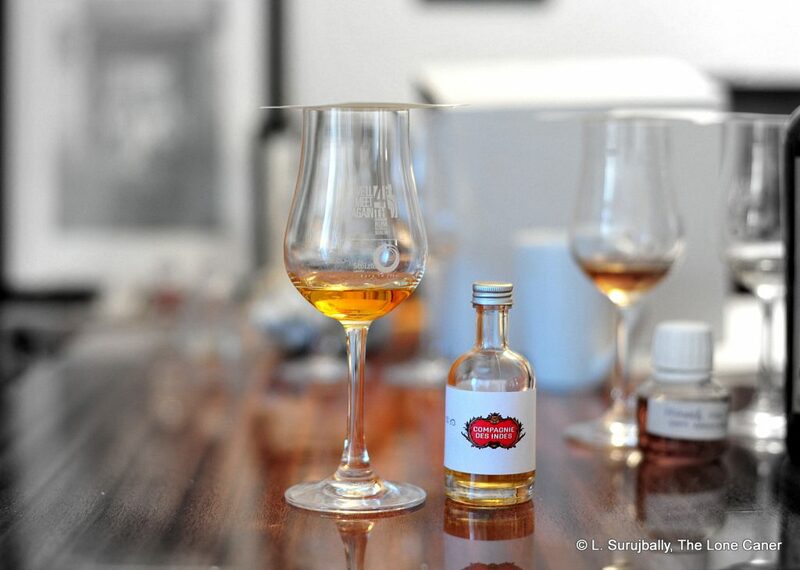 The palate is perhaps where people will pause and look at the glass a second time. That it was pungent and warm was beyond question: even at the rather anemic strength, one could easily appreciate the relative smooth profile, pick out some weak brine, prunes, chocolate covered dates, banana cake, strawberries and honey; and to that, over time, was added a few lighter balancing elements of unripe strawberries, maybe a stalk of lemongrass. Overall, what fruitiness there was, was dialled way back and became almost imperceptible, to be overtaken by something more like a mix between tannins and some much-too-strong unsweetened black tea, both a good and a bad thing, depending on your viewpoint. As for the finish, not much could be said – warm, short and unfortunately weak. 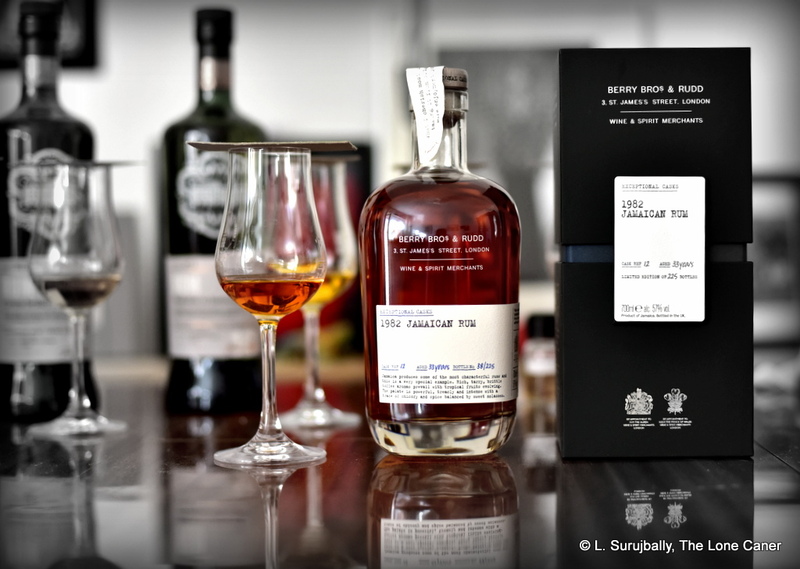 That said, here perhaps more could be discerned which were missing from the palate – black tea, honey, raisins, faint chocolate, plenty of crushed walnuts, if too little of the fruitiness I was looking for. 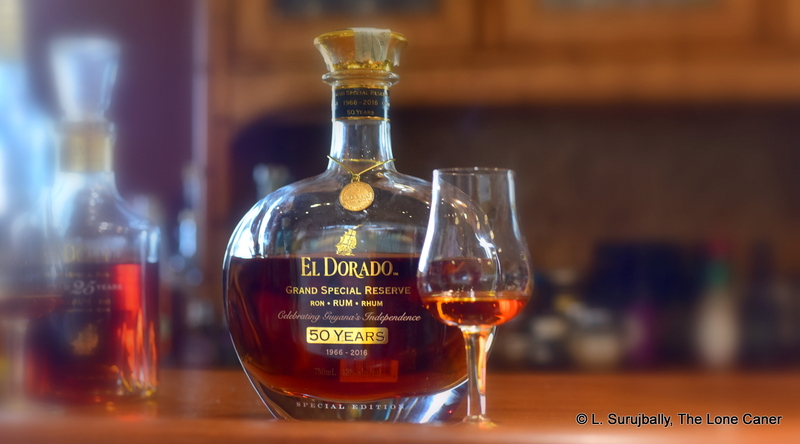 Taking all these aspects together, one must concede that it started well, it’s just that as it opened up, there emerged a sort of woody, smoky, nutty background: this gradually overwhelmed the delicate balance with the fruit which the rhum needed (my opinion), and that to some extent derailed the experience. Too, the flavours melded into each other in a way that a stronger strength might have separated, creating a somewhat indeterminate melange that was tasty, yes, just…indistinct. And not entirely successful. 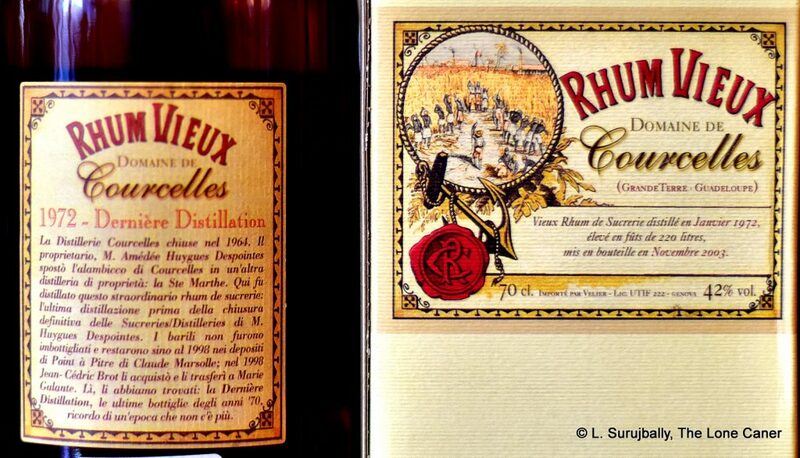 After the fact, looking at the rhum coldly and practically and assessing it on price alone, I can’t tell you this is a must-have. 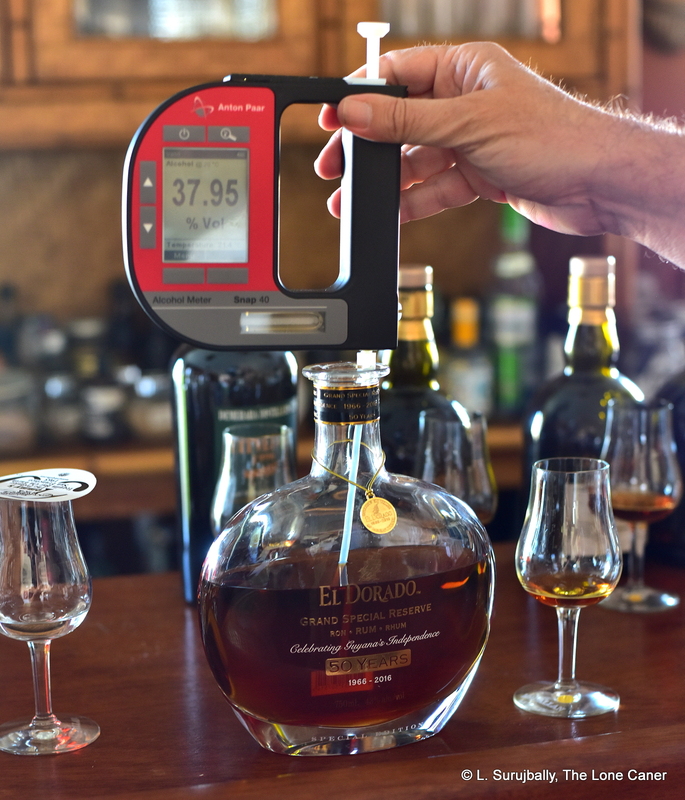 It’s the kind that relies on the numbers “5”, “3” and “1” to be taken seriously, but when it comes down to a tasting, it doesn’t quite live up to the hype of the halo…and the numbers become just that, numbers. 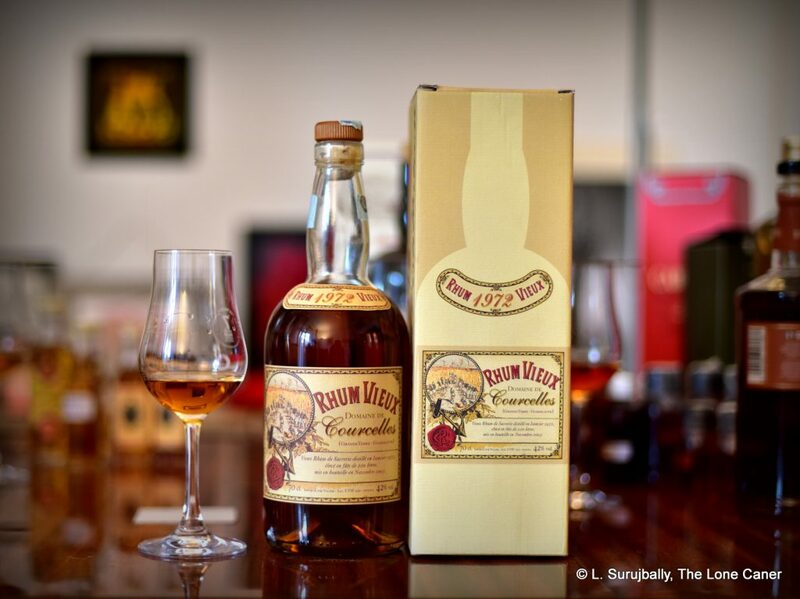 As with rums like the Black Tot (or even the St James, Clement or Bally rhums mentioned above), we’re buying to touch the past and reconnect with a sense of real heritage, back when the Cuban style of rum dominated the market, to see how what we drink now came from what was made then. It absolutely is a major product in that sense — just not exceptional, compared to what it costs, compared to what we might expect. So, the Damoiseau 1953 nails the historical value and cool presentation ethos just fine, and it is different, fascinating, old, pretty good, and if that’s what you want, you’re good to go. You’ll be the belle of the ball showing it off, and all the stares and envious plaudits will surely be yours for the taking (unless someone trots out a Bally). The best thing to do — when you’re in the store looking at it, with your bonus cheque twitching in your pocket — is to ask yourself some very honest questions as to why you want to buy it and then proceed purely on that basis. I ignored that advice myself, and that’s why you’re reading this review. 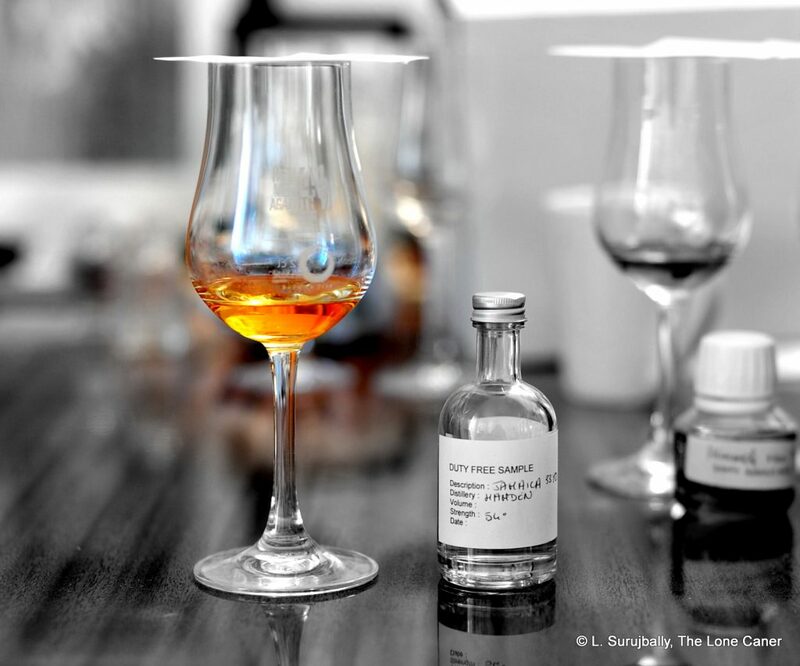 The Single Cask review is really worth a read. 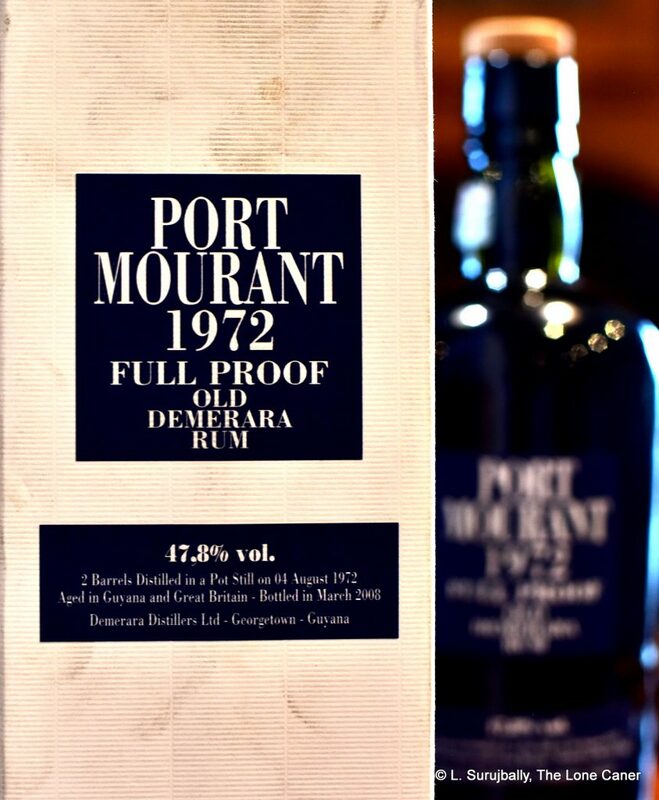 Also, he noted that it came from some “lost casks” but Herve Damoiseau, when confirming the age as 31 years for me (the rhum was bottled in 1984), didn’t know anything about that.